Show your employees that you care for them and their wellbeing. Massage therapy is more than just a form of relaxation. It’s been proven to help manage anxiety and depression, as well as improve blood flow, boost immunity, and control blood pressure. Massage therapy provides increased benefits in mental and physical health. Studies have also shown that the healing effects of massage therapy are activated and noticeable within minutes. 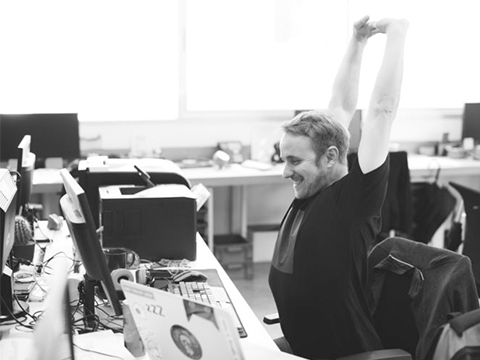 The brain starts to recharge, and muscles are rejuvenated instantly, putting a pep in your employees’ steps. "SpaFlow absolutely BLEW us away from beginning to end. We will definitely be booking with Spa Flow again!" Our corporate chair massages will help to boost morale and energy levels. Your team works hard and needs support to prevent morale from weakening. The possibilities they could accomplish are endless when their bodies and minds are in complete perfect harmony. We’re confident our corporate chair massages will help to boost morale and energy levels to create a more peaceful and balanced workspace. Your employees won’t be the only ones feeling the benefits; your customers will, too! When the employees are happy and relaxed, they’re able to approach their work with a positive mindset. For everyone who comes in contact with your business or employees, they’re provided with a holistic experience. 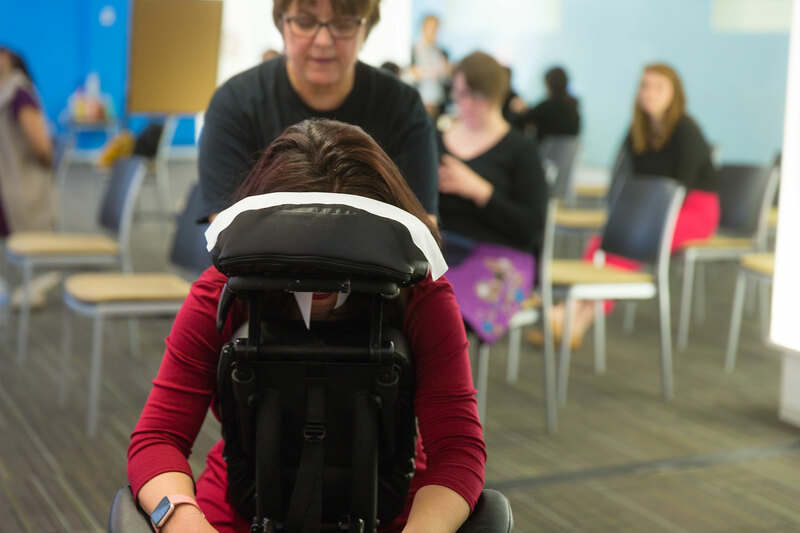 to seminars, trade shows, and everything in between, making our corporate chair massage services part of your next big event is sure to be a crowd-pleaser. Our comprehensive massage services heal the stresses felt in every workplace: tight deadlines, tough clients, and turnover. Your team will leave each session feeling lighter, clearer-minded, and with a sharper focus. Corporate chair massages practically pay for themselves in the benefits they can provide beyond the body. 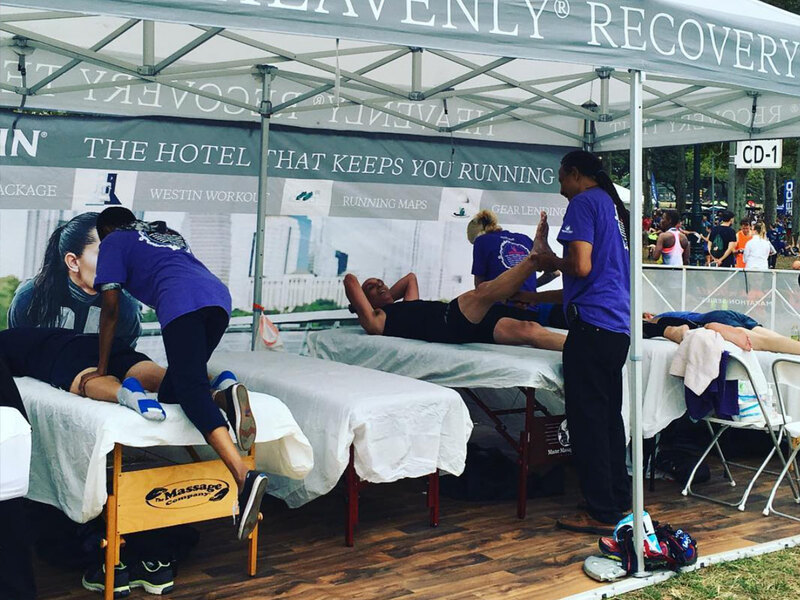 No matter where your corporate event takes place, Spa Flow’s team of trusted and skilled therapists is there to take your day from ordinary to extraohmmm-dinary! even more amazing with rejuvenating massage therapy.